Big thank you for the race reports, please keep sending them to helsby-race-reports@outlook.com if you wish for them to be included in the round-up each week. Lots to talk about this week. Please ensure you read the Upcoming events/ requests below so you don’t miss out! But hold up before we get started, I’d just like to say it was great to see Colin Thompson, our Men’s Club Captain, back in action at the Warrington Parkrun and finishing 2nd in his first Parkrun since late July. Would anyone be interested in getting a mini bus up to Anglesea race track for the Cybi borders league Sun 6th? Due to the distance I think it may put people off but if we had decent numbers then a mini bus could be an option? Send Chris Fitzpatrick a mail if you’re interested please, we might even stop off on the way home for pub lunch and a pint! Using the Fell running incentive of beer there eh Fitzy!!? 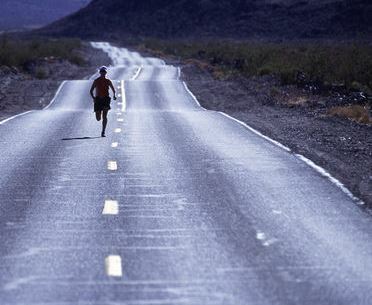 You road runners have changed. 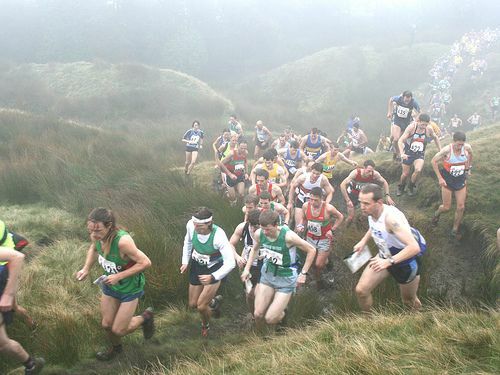 Remember, this Saturday (24th October) sees the first Cross Country Counter of the season, the Liverpool & District league race at Beacon Park near Skelmesdale, starts at 2pm. Post code WN8 7RU, on the top field. 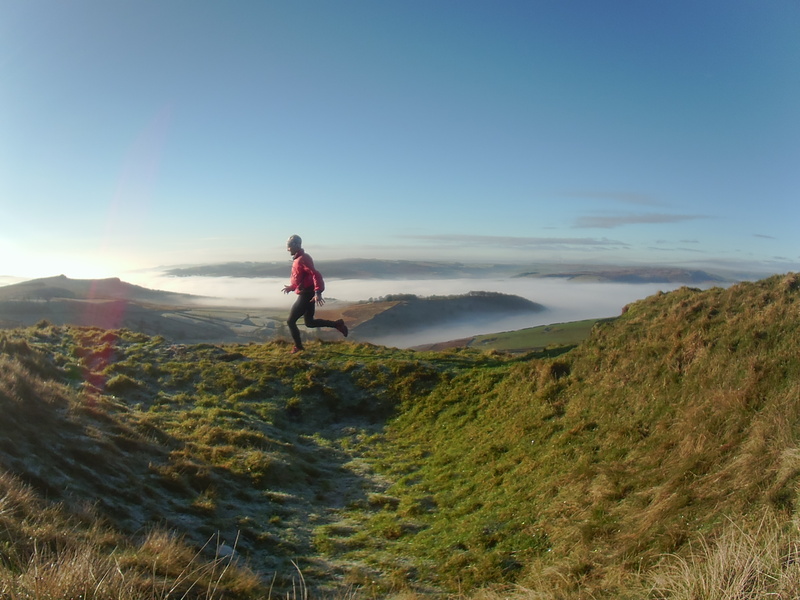 For those new to cross country (or just scarred from school outings in pants, vest and plimsolls from the lost property bin) I’d really recommend it. It’s fantastic and traditional winter work for the road runners and speedsters out there, there is plenty of mud and some nice bumps to keep the Felsby section interested, and will certainly lay a fantastic base for 2016 season. It’s really inclusive, friendly and fun, so give it a go! Don’t know how to put the calendar in to your electronic calendar? Then Google is your friend, just look up: ‘how do I add a new calendar to…’ and add the device or application you’re using; i.e., iphone, google calendar, outlook, etc. 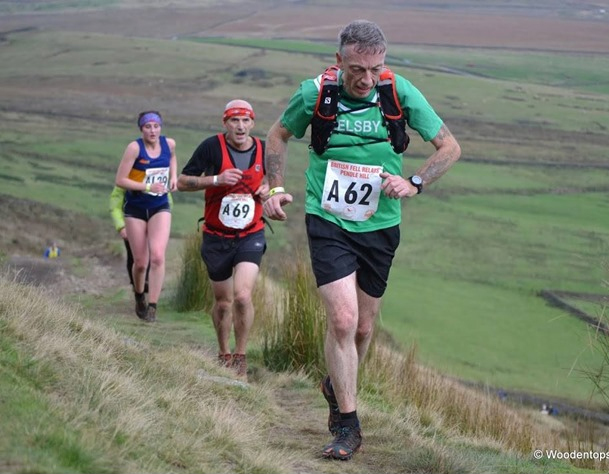 The annual Fell Relays took place last weekend and were fantastic as always. 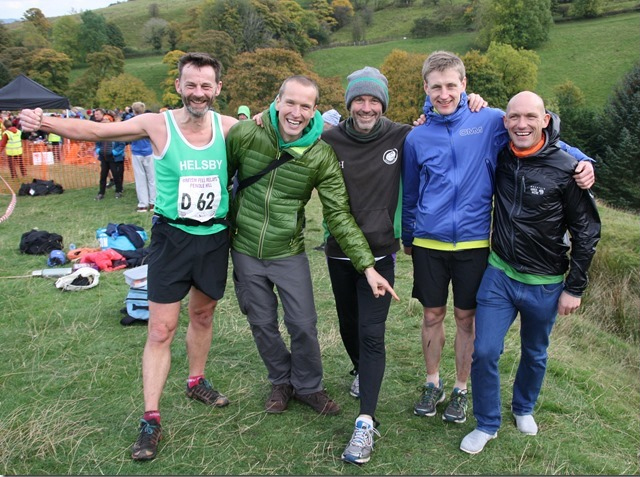 It’s like a Christmas do for fell runners; a chance to catch up with friends, see the elite of the sport and come together as a team rather than race as individuals. Jackie “David Bailey” Keasley was on hand to record proceedings and struck some outstanding photographer stances as she moved between the final hundred metres and the first hundred to snap us all. The result was this fantastic video which really sums up the day: http://tinyurl.com/pmkroa9 Hopefully we’ll be able to enter more teams in next year, especially following the success of this year’s fell mini series. 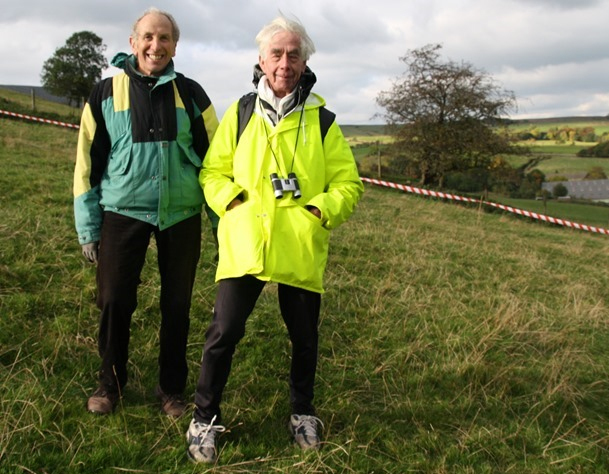 On Saturday the annual UKA British Fell and Hill Relay Championships took place from the quaint village of Barley, which rests in the shadow of Pendle Hill. A very special part of the country, but being Lancastrian I am biased! The first leg started off at 10:30 from the centre of the village, which was by now host to an encampment of running club flutter flags and tents. 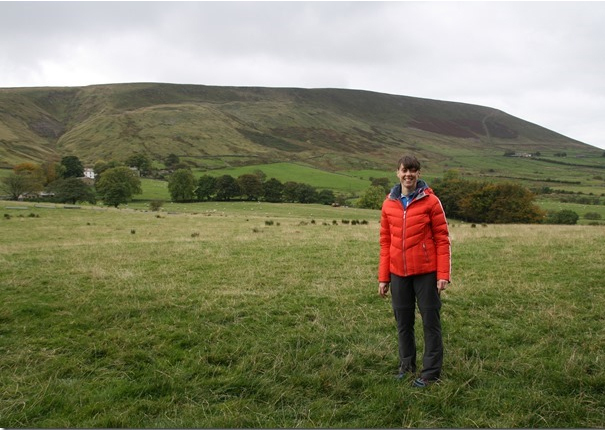 A short walk up Barley Hill gave a panoramic view of the change-over area and the start of the other 3 legs; a great location allowing spectators and runners to watch competitors approach the start/finish, as well as the action on the ‘Big End’ of Pendle. Here there was continuous commentary from two local ladies which went on all day! Some said they thought it was me talking when they first heard them! Weather was cloudy but clear, no rain, the odd beam of sunshine, but a chilly breeze. Excellent for running and with all the shuttles between the village camp (sheltered with hot drinks and food) and Barley Hill (cool and blowy but plenty going on) good for supporters too. Amazing dedication of Joe and Mario who sat on the top of Pendle Hill ALL day (5+ hours!) cheering everyone on! Teams of 6 go off in 4 legs, first a solo leg (5 miles), second a paired longer leg (9 miles), third a paired navigation leg (who knows how far it depends on which route you choose!) and finally a fourth slightly shorter solo leg. We had a men’s team and a ladies’ team made up of Jim, Chris & Jimmy, Phil & Phil and Steve plus Jennie, Jane & Laura, Rachel & Lesley and Vanessa. This year because of the compact location the number of teams was restricted to 150 which is about 100 less than normal. 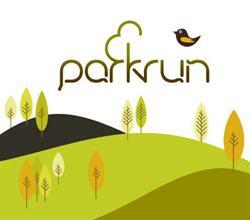 Great running from all with everyone returning saying the terrain and course was fantastic and most enjoyable! Lots of sweat, smiles and camaraderie all round. 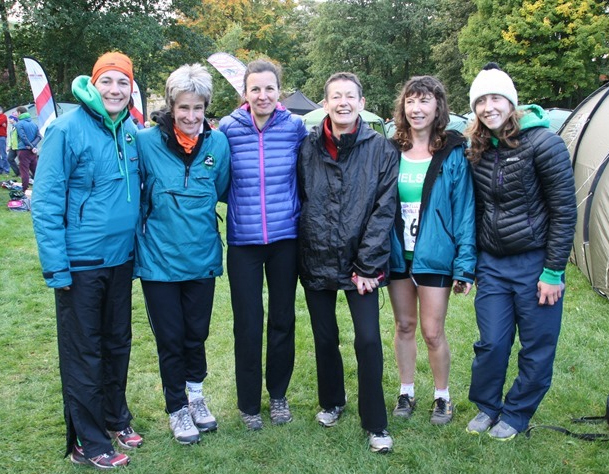 Jasmin Paris (who has won the Paps of Jura and most other big races by many a country mile in the last couple of years) and Angela Mudge (fell legend) ran for Scottish Club Carnethy, Total Team Time 4:50 – 87th team in; Angela completed the navigation leg in 1:27 – 75th and Jasmin the final leg in 48m – 39th. Brilliant, thanks Jackie. It really was a fantastic event. One top tip from me, just because you’ve arranged a rare childless night as a result of such an event, don’t choose a curry house for a meal out the night before! A good 10 seconds went by before I realised Jimmy meant “your” not “you’re” and was referring to my experience as a fell runner rather than my capability as one. Brilliant. Don’t miss out on the weekend! opening section for details! More lunacy than long distance trail or ultra, but the lunatic factor parks it right in this section! So I wonder if the committee will vote for this one to be a road counter next season? Hmmmm, not even Phillipa Roberts fancied this one, and to be fair, there’s not a lot of club runners that do this race but it’s one I’ve signed up to every year since it started in 2009. 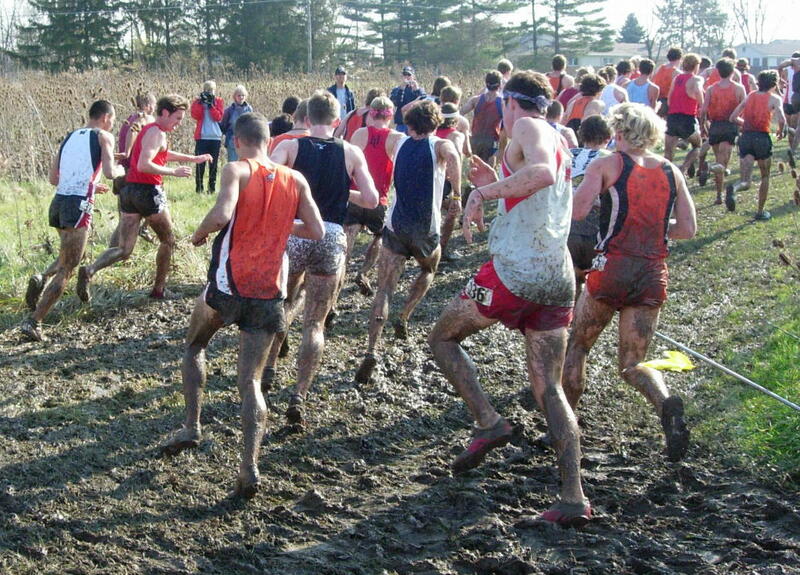 It’s a bit of a laugh, it’s extremely muddy, it’s cold, it’s…well it’s Hellish. You would think a lot of people wouldn’t take this one seriously but trying to keep up with the first 10 or so runners and I soon found out that it’s serious alright. I’m making my excuses now, a week of Man Flu did not help my prep, zero runs all week and 2.5 miles the day before the race which was a really hard 2.5 miles, meant I was going to be nowhere near our new 2nd claim member Chris “CC” Collins who had his Spartans race vest on instead of the mighty green army vest, and was challenging the leaders. Defo one that I would like to see more Helsby runners do, if not just for a laugh, or maybe as a charity club event maybe, I’m open to suggestions if anyone has any. And to think I missed the fell relays for this! This race is organised by members of Spectrum Striders and follows their Forest Park Ladies 5k course and they come highly recommended.